Could this be THE best ski resort to visit this winter? Ski holidays to Borovets offer great value for money and are a short transfer of just 1.5hours from Sofia airport. 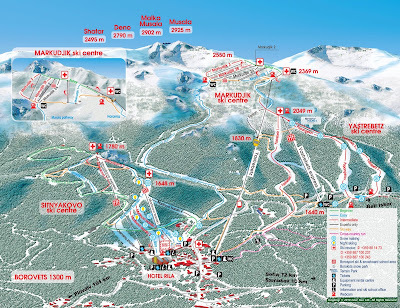 The Bulgarian ski resort of Borovets is surrounded by the highest mountains in the Balkans, the Musala (meaning "near God" or "place for prayer") and sits at an altitude of 1320m. Balkan Holidays offer a range of hotels & apartments within Borovets to suit all budgets including the popular hotels 4* Rila & Rila Studios, 4* Samokov and the 3 & 4* Iglika Palace. These hotels are not only popular for their excellent services and facilities but are also within easy walking distance of the resort centre, making them an ideal base to kick start your holiday from. 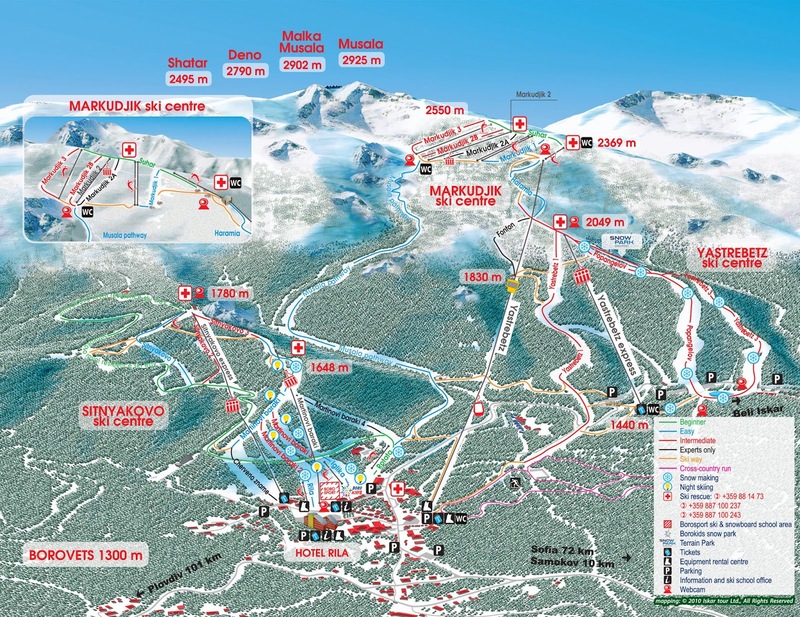 Although primarily recommended for beginners and intermediates, the resort of Borovets has three ski areas which cater for all levels of abilities. From the nursery slopes for the beginners to the World Cup runs for the advanced. Beginners can enjoy showing off their newly found skills at the Sitnyakovo ski centre or by wizzing down the newly built Musala pathway. For the intermediate skiers, the resort provides the Yasrebets and Markoudjik areas, perfect for hours and hours of skiing pleasure. The Borosport Ski School has also been hailed in numerous reviews as one of the best schools for ski and snowboard training in Bulgaria. Borovets is an ideal location for families with children of all ages. With Balkan Holidays, your children can learn to ski from a very early age. From the age of 4, we offer ski kindergarten for children aged 4-7 in the hotels Rila and Samokov. For 6 days, this includes ski packs (skis, sticks and boots), supervision and tuition. For children younger than 4, these two hotels also offer a nursery. Away from the slopes, Borovets is just as popular and well known for its Apres-ski. There are many bars, clubs, restaurants and cafés which come alive once the sun goes down. There is also an opportunity to experience folk dancing shows with traditional Bulgarian music and sample the local cuisine. Excursions can also be booked with your local Balkan Holidays representative ranging from a visit to the Rila Monastery to a day trip to either the city of Sofia or Plovdiv. Book your ski holiday to Borovets today and experience the magic of this first class winter resort for yourself this season!